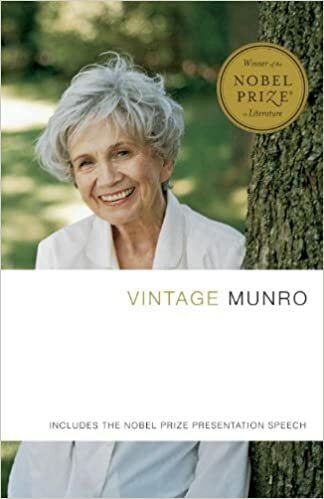 This classic collection—now revised and expanded—is the perfect introduction to Nobel Laureate Alice Munro's brilliant, revelatory short stories, in which she unfolds the wordless secrets that lie at the center of human experience. The stories in this volume span Munro's career: The title stories from her collections The Moons of Jupiter; The Progress of Love; and Hateship, Friendship, Courtship, Loveship, Marriage; “Differently,” from Friend of My Youth; “Carried Away,” from Open Secrets; and (new to this edition) "In Sight of the Lake," from Dear Life. Vintage Munro also includes the text of the Nobel Prize Presentation Speech, given by Peter Englund, Permanent Secretary of the Swedish Academy.